Granddad still hasn't opened his Christmas gifts so he asked me to do a quick update. 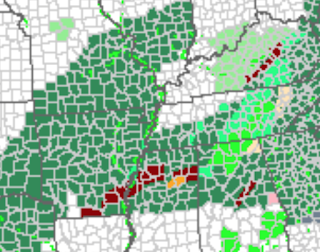 Dangerous flooding is still likely from the Ozarks to northeast Texas. The heavy rain will start around sunrise Saturday. The maroon counties are flash flood warnings. 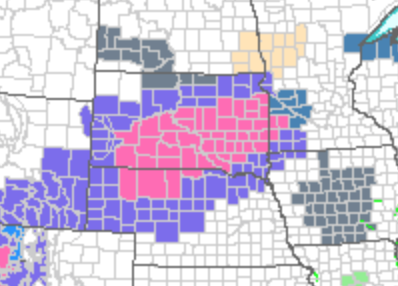 The winter storm warning in the northern Plains has been expanded (pink). 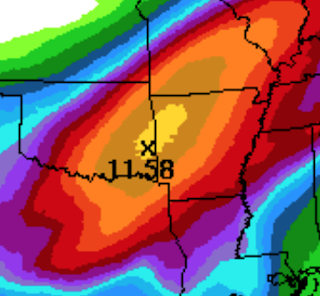 Granddad will update on the weekend winter storm when all of the new data is in -- and, when he has opened his gifts! !